With a view like this how could anyone complain? It has been quite a while since I last posted and intended on doing so the past two weekends, but time and energy have been in short supply as of late. But another problem has plagued me as well: what should I write about that I (and others) might find interesting beyond 2012 (assuming we make it past the Mayan calendar end date). 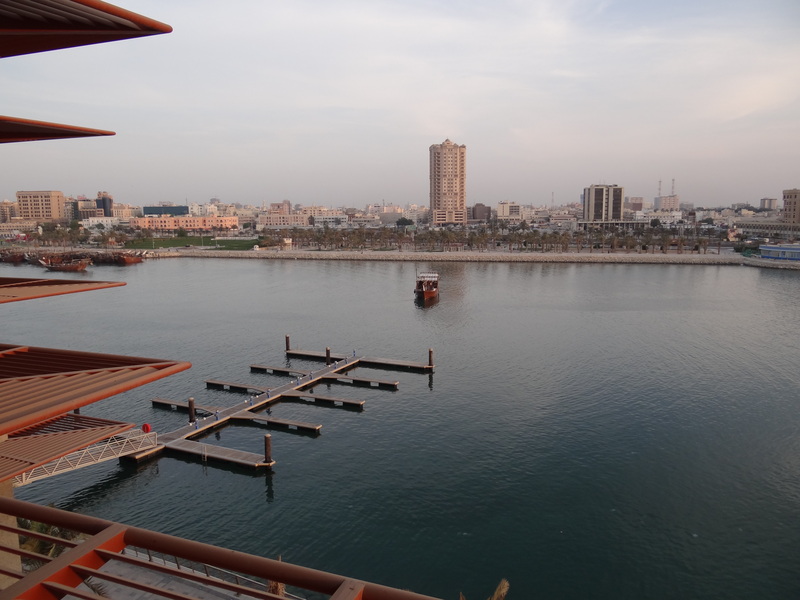 This blog’s purpose is in part to entertain (when possible) and in part to inform and finally yesterday, I finally decided on something that might be interesting years from now: how my living quarters in Bahrain differs from what we have come appreciate (or take for granted) back home in the States. On the surface my apartment is not dramatically different than an apartment one would find in any large city across the U.S. It sits comfortably on the fourth floor of my seven story building and has a nice balcony. There are doors with locks that make sense, a kitchen, bedrooms, bathrooms, and a dining room. The furniture provided by the embassy is all pretty standard, and despite being a bit outdated (design name = modern colonial), it is perfectly acceptable. But, that is about where the similarities stop and the differences begin.